The implosion in the CBI has an interesting back story. It seems the tussle is not merely along CBI versus CBI lines but Gujarat versus Gujarat too. The genesis of the current fight goes back to the appointment of two IPS officers from Gujarat in the CBI, Rakesh Asthana and Arun Sharma. Although both officers were loyalists of the Modi-Shah duo from their Gujarat days, they seem to have had a falling out amongst themselves during their stint in the CBI. According to sources familiar with the agency, Sharma then decided to align himself with CBI director Alok Verma who was locked in a power tussle with his deputy Asthana. The sources said that Verma was upset with Asthana because he felt that his deputy was infringing on his powers. Asthana was promoted as special director in October 2017 and made the number two person in the bureau with the understanding that he would succeed Verma as the director in January 2019. 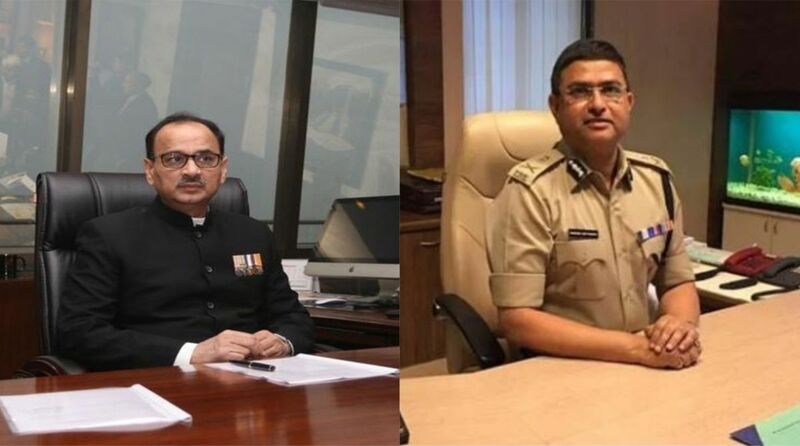 This positioning seems to have altered equations within the CBI, between Asthana and Verma, but more crucially between Asthana and his fellow Gujarat IPS officer, Sharma. Asthana took to calling meetings and issuing orders that were technically in Verma’s domain which upset the director. In addition, tensions rose with Sharma who as additional director in charge of policy matters and virtual number three in the agency felt that his writ should run. In the light of shifting loyalties, when a probe was ordered into corruption charges against Asthana, Verma appointed Sharma as head of the investigation team. The Gujarat versus Gujarat battle was in full flow. The intriguing thing is that both officers from Gujarat were chastised for the internecine war. They clearly refused to heed the warnings from the top. Why? What made them so defiant? These are questions to ponder over. As for Verma, he tried to play politics and ended up getting trapped in the crossfire around him. The Gujarat connections are long and deep. Both Asthana and Sharma were regarded as favourites of the regime when Modi was chief minister. They held sensitive posts. Asthana headed the SIT that probed the Godhra train fire in 2002. Sharma headed the Crime Branch in Ahmedabad. ED officer’s role There is also the curious role of ED joint director Rajeshwar Singh in the ongoing war within the CBI. 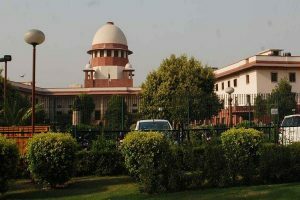 The controversial officer, who was handling the Aircel Maxis investigations against Chidambaram and son Karthi, is believed to have aligned himself with Sharma and Verma against Asthana. Interestingly, Rajeshwar Singh has the backing of BJP MP Subramanium Swamy who has been batting for him on Twitter. In fact, Swamy accused the finance ministry of trying to slow down the investigation in the Aircel Maxis case. The chargesheet was filed on the day ED director Karnail Singh retired. It’s not clear where Rajeshwar Singh fits in the CBI puzzle. But there is clearly a war at the top between different factions of the government. It’s strangely reminiscent of UPA days when Pranab Mukherjee as finance minister and Chidambaram as home minister were locked in a tussle that rocked the Manmohan Singh government on several occasions. Bihar allies upset with Nitish The BJP’s Bihar allies, Ram Vilas Paswan and Upendra Khushwaha, are hopping mad with Nitish Kumar and Prashant Kishore. Ever since Kishore was appointed national vice president of JD(U), there has been a slew of stories about the seat sharing arrangement in Bihar for the 2019 polls to the detriment of Paswan and Khushwaha. According to these reports, the BJP will contest 17 seats, the JD(U) will contest 16 and Paswan and Khushwaha will have to share the remaining seven seats between them. The division is odd because Paswan’s party contested seven seats in 2014 and won six while Khushwaha’s party won the three it fought. Nitish’s JD(U), on the other hand, won only two seats. Paswan and Khushwaha believe that these reports are all emanating from the Kishore camp which is trying to build up Nitish’s stature. Unfortunately, in the process, the reports have diminished Paswan and Khushwaha in the NDA. But Kishore’s tactics seem to have worked with the BJP. Amit Shah and Nitish have announced that their parties will contest 17 seats each. Now all eyes are on Paswan and Khushwaha. What will they do? The BJP’s Bihar unit is worried because the opposition has been sending feelers to both Paswan and Khushwaha. They feel that unless Shah or his appointed representative steps in to pour oil on troubled waters, Paswan and Khushwaha could leave the NDA and join hands with Lalu’s party and the Congress. Paswan’s reputation in political circles is that of a weathercock. He has always managed to be on the winning side since his entry into electoral politics in the late 1980s. The BJP can ill afford to lose him, even for symbolic value. Khushwaha’s recent meeting with Lalu’s son Tejaswi has sent waves of anxiety through the BJP in Bihar. But Amit Shah seems to have made his own calculations and decided to plump for Nitish even at the cost of losing Khushwaha and Paswan. Weak Rafale argument The Rafale argument being used by Rahul Gandhi to hit at the Modi government on the CBI war is clever propaganda but doesn’t seem to have much substance. Political circles agree that no CBI chief would ever register a preliminary enquiry report (PE) against a senior member of the ruling regime, let alone a sitting prime minister. Rahul has been saying that Verma was removed because he was planning to file a PE against the government in the Rafale fighter plane purchase. Those with long memories recall that even when the CBI began investigating the Bofors bribery case, it filed a PE against “unknown persons’’. Rajiv Gandhi was listed as an accused much later after he lost power in 1989. Was Alok Verma planning something along the lines of the initial Bofors PE? It seems the Rafale connection may be a red herring to gain propaganda points in the perception battle between the Congress and the BJP on the issue of corruption.